El Mercado de San Miguel, Madrid. Photo by Gerry Dawes copyright 2012. Cigalas (Dublin Bay prawns), El Mercado de San Miguel, Madrid. Coffee bar, El Mercado de San Miguel, Madrid. Slide show, Mercado de San Miguel. Rafael Vidal's True Paellas Valencianas at Restaurante Levante outside of Valencia. One of Rafael Vidal's true paellas valencianas at Restaurante Levante outside of Valencia. Real paella valenciana has no seafood, it has duck, chicken, pork and two kinds of bean, a flat type of bean called a vaina and a large local Valencian dried bean called a garrofó, which Rafael Vidal grows himself. Photo by Gerry Dawes©2012. Contact gerrydawes@aol.com. Rafael Vidal and his son, also Rafael, at Restaurante Levante in Benisanó, a town outside Valencia, with one of Rafael's true paellas Valencianas. 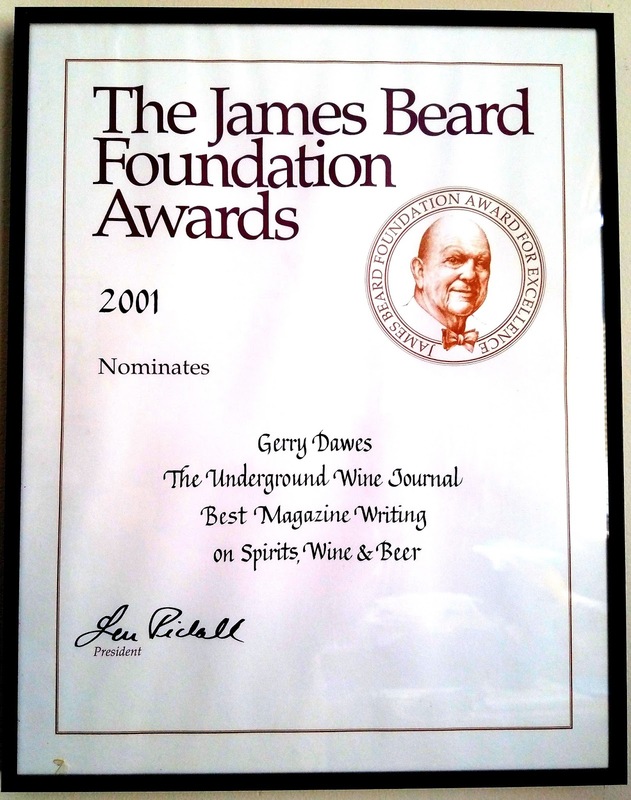 Photo by Gerry Dawes©2007. Contact gerrydawes@aol.com. 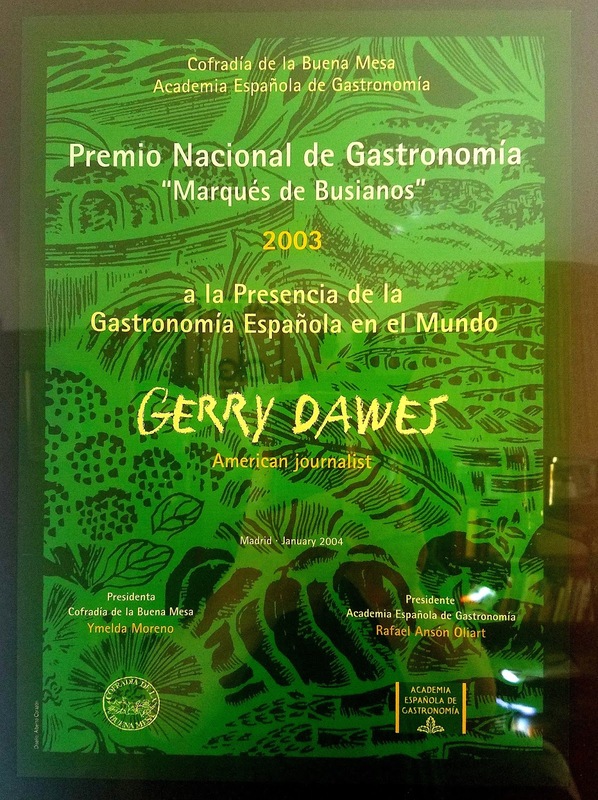 Mr. Dawes is currently working on a reality television series on wine, gastronomy, culture and travel in Spain. Huevos a la flamenca was one of the most ubiquitous dishes in southern Spain during my early years there in the late 1960s and early 1970s. I had it a number of times, but seldom found that it was more than ordinary, partly because the dish was usually overcooked. This week on Facebook I ran across a recipe for huevos a la flamenca, a dish I had never made, so I decided to try it. The recipe, except for the fact that the left garlic out of the ingredients list, but including it the instructions on how to make the dish, was pretty good. However, I found that the eggs on top got overcooked, so the next time I will poach them in olive oil and put them on top the dish after it come out of the oven. Huevos a la flamenca, before going into the oven. Made with an onion, tomato and garlic sofrito, Spanish olive oil blanched diced potatoes, strips of red pepper and peas, sprinkled with sea salt and topped with jamón serrano, chorizo and a fresh farm egg per person. For two people: First I made a sofrito with two medium slices of a large Vidalia onion diced, half a tomato diced, and a minced clove of garlic sauteed in Spanish extra virgen olive oil (Trader Joe's bargain brand). I sliced half a red bell pepper into thin strips and sauteed them for five minutes in olive oil. I had some boiled red bliss potatoes and diced one of them into small cubes, then briefly fried the potato in very hot olive oil. I had the oven heated to 350 degrees, but it should have been at 450 degrees or even 500 degrees (to enable this dish to finish in 10 minutes). I added all these ingredients to a Spanish crockery casserole that had been heating in the oven and mixed them together. I added a cup of frozen peas and mixed them with the other ingredients, topped the dish with strips of jamón serrano (you can use prosciutto) and placed rounds of one sliced chorizo sausage in a circle on top of the other ingredients. I broke two fresh farm house eggs on top of the other ingredients and put the dish in the oven. After ten minutes, the eggs were still not cooked, so I upped the temperature and checked periodically until the eggs were set. The dish come out quite good, except that the egg yolks were hard cooked. That is the way the dish had always been served to me in restaurants, but I would much prefer the yolks to still be liquid, which would make an excellent sauce for this dish. I also plan to add mushrooms the next time I do this dish. Huevos a la flamenca, finished dish. 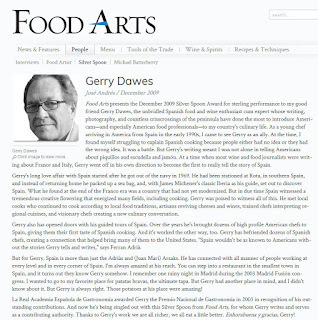 Dawes was awarded the Food Arts Silver Spoon Award in a profile written by José Andrés. 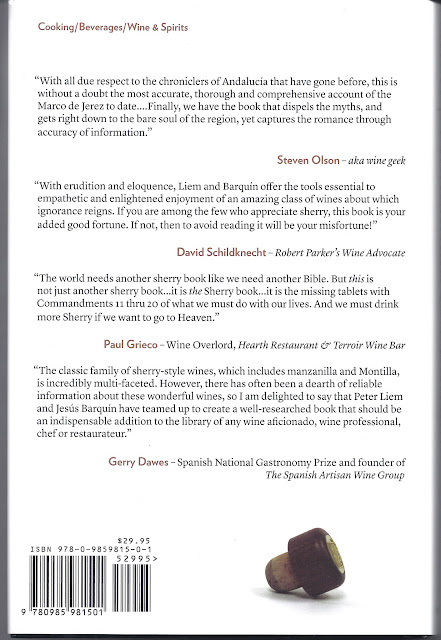 wine, gastronomy, culture and travel in Spain. "Neighboring Asturias is another sleeper. It has only a miniscule amount of wine, but great cider and a multitude of some of the best cheeses in the world and bean dishes like verdinas con mariscos (green flageolot-type beans cooked with crab, shrimp and/or clams) and fabada asturiana, along with arroz con leche (rice pudding) with a creme brulee-like caramelized crust. Then you add some of the most awesomely beautiful high mountain scenery and seashore in Spain, bucolic mountain villages saved by cheese making and colorful fishing ports and Asturias is a paradise, a place to get away from it all." I have made this verdinas dish twice since I returned from Asturias. brought back from my recent trip to Asturias, crab legs, clams and shrimp. 11-11-2012. Dish and photo by Gerry Dawes, 2012. La Maquina restaurant's famous fabada asturiana, fabada bean stew with chorizo and morcilla. La Maquina restaurant's arroz con leche, rice pudding with a caramelized crust. Montatidos/pinchos de morcilla con pimientos, bar in the Casco Viejo, San Sebastían. Photo by Gerry Dawes/2008 . 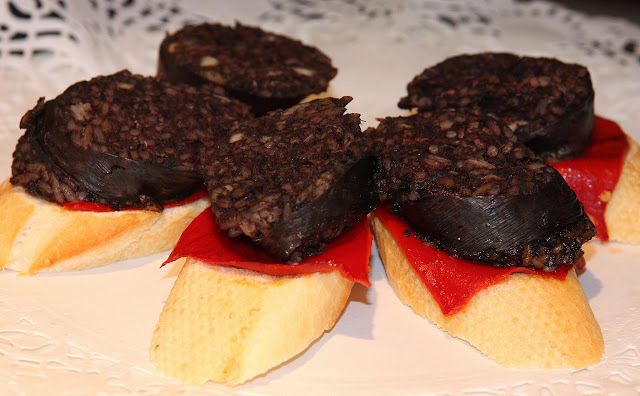 Morcilla con arroz a la plancha con pimientos, (grilled blood sausage with rice, topped with roasted red peppers (a typical preparation in Burgos), Rincon de Espana, Burgos, Spain. Gerry Dawes would like to host a reality television series on wine, gastronomy, culture and travel in Spain that features a different star American chef in each episode. One of the best tapas bars in Madrid, with a wonderful modernized traditional cuisine tablecloth restaurant in back, which is frequented by some of the city's top food lovers. (Just a block or so from the northeast corner of El Parque de Buen Retiro-Retiro Park). Teléfono: 91 573 55 90. 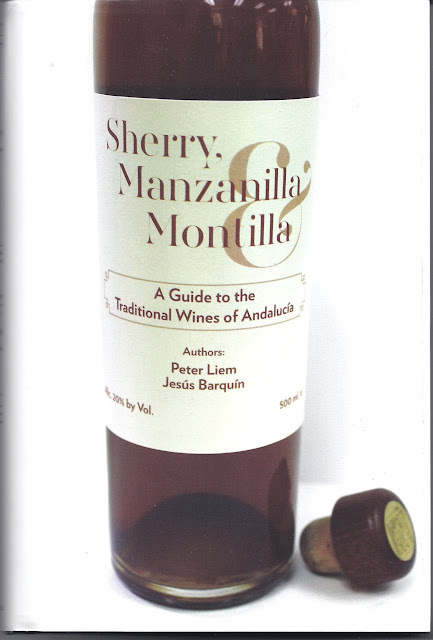 The classic family of Sherry-style wines, which includes Manzanilla and Montilla, is incredibly multi-faceted. Chilled dry, finos, manzanillas and amontillados are exceptional companions to shellfish, tapas and sushi; amontillados and olorosos can be a stunning accompaniment to cheeses and dishes with mushrooms or red peppers and the dessert sherries pair splendidly with everything from foie gras to fruit tarts to espresso or cappuccino. Likewise, this versatility and rainbow of flavors is indispensable in cooking; a splash of sherry can make a dish taste unique. The range of more than half a dozen different basic styles, the spectrum of hues, aromas and flavors in these wines, their utility with food and the fact that many of these marvelous wine jewels are downright inexpensive should make Sherry a popular wine indeed. 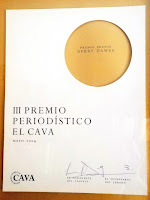 All photos and text by Gerry Dawes©2012. 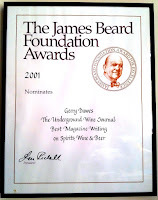 Contact gerrydawes@aol.com for publication rights. Bajo de Guía beach on the Guadalquívir River, Sanlúcar de Barrameda. 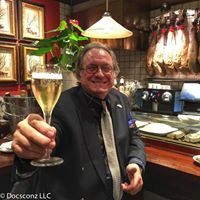 In early April, after stays during Holy Week in Sevilla and Ronda, I took my spousal equivalent, Kay Killian Balun, with me to Sanlúcar de Barrameda (See Sanlúcar Sunset in a Manzanilla Glass) to spend a couple of days with a long-time friend Javier Hidalgo, producer of Bodegas Hidalgo La Gitana Manzanilla de Sanlúcar, and his wife, Paula de la Infiesta, at their finca, the charming, bucolic farm where they live between Sanlúcar and Chipiona. as an aperitif before our riacheros lunch. In just two days, we managed a number of wonderful adventures, including a foray into Las Marismas, the famous wetlands and bird sanctuary north of Sanlúcar (and west across the Río Guadalquíver), where Javier and Paula took us to have lunch at a riacheros (river fishermen) bar-restaurant located in a place in Las Marismas, so isolated and secret that I am not going to tell you the name! We couldn't have been with a better guide for Kay's first introduction to Las Marismas. Javier grew up going on repeated birding and hunting excursions into what he refers to as La Marisma. 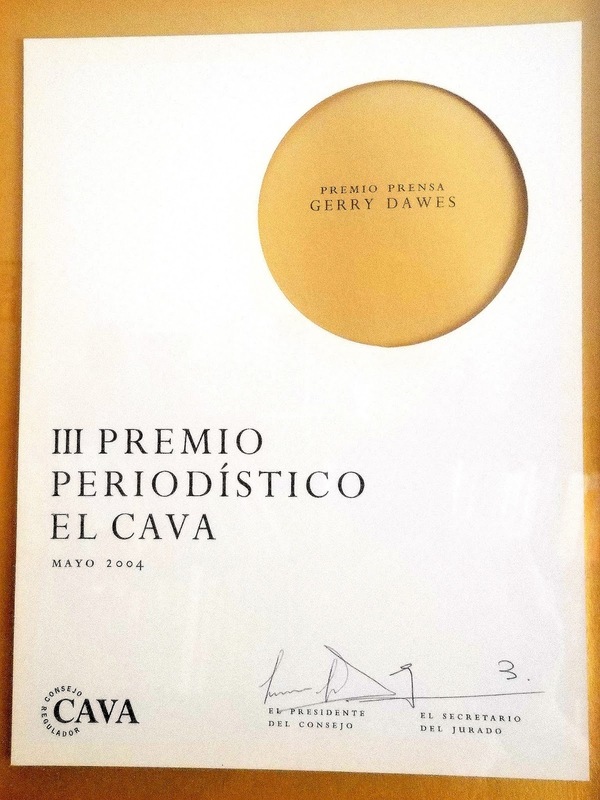 When I told him that I had always heard these wetlands called 'Las Marismas,' Javier, who published his memoirs of the area, "Recuerdos de La Marisma" (Ediciones Geribel, 2005), clarified the term for me. "Both ways are correct. There are many marismas in the world but for me this is the most important one, that is why I refer to it as “La Marisma.” You can use either. 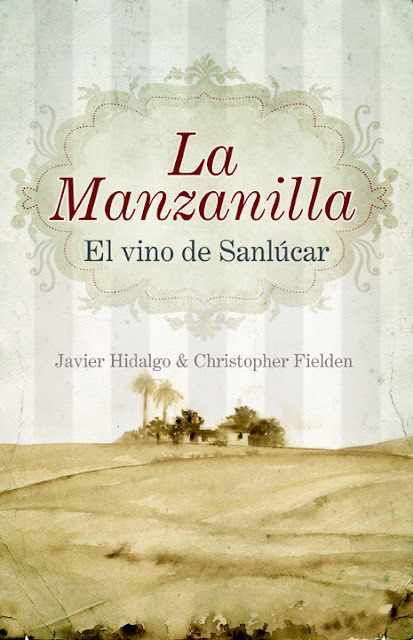 La Manzanilla: El vino de Sanlúcar (Almuzara, 2009), for which, at Javier's request, I wrote the foreword. 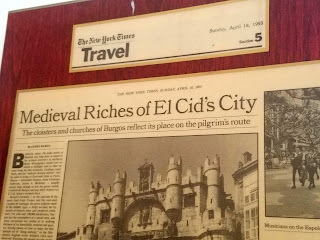 As we bounced over a track that had been filled with stones that were bone-jarring, even in Javier's four-by-four, he told us, "The restaurant we are going to is nothing fancy. In fact, the place is bit raffish, but the food is quite good." This part of La Marismas wetlands is not quite the same as the bayous of Louisiana. La Marisma and Coto Doñana, the legendary bird sanctuary and major eco-system on the west bank of Río Guadalquíver has some similarities. Riachero fishing boats in the Las Marismas wetlands near Sanlúcar de Barrameda. At the restaurant, Javier started me off with a copita of the finely nuanced, beautifully made Hidalgo Napoleon, one of the very best Amontillados made, while Paula poured Kay a copita of La Gitana Manzanilla, a delicious, dry, crisp, lovely sherry that is a great accompaniment to seafood. All of us would continue drinking La Gitana throughout the meal. Paula de la Infiesta pouring La Gitana Manzanilla at the riacheros restaurant in Las Marismas. Sanlúcar and Las Marismas slide show. Juan Manuel, the owner of this hidden riacheros bar, served us a lunch of that began with a loaf of freshly baked country bread, then a platter of same-day camarones (tiny shrimp), which can be eaten whole (and are used to make one of the great folk dishes of Andalucía, tortillitas de camarones, a tiny shrimp-filled fritter that we would have the following day at Bar Barbiana on the Plaza del Cabildo in Sanlúcar). to the riacheros, the men who fish the waters of Las Marismas. Next Juan Manuel brought out a large, beautifully browned, whole calamar (squid), which Paula cut up in to smaller piece, then we had a fish dish, a whole grilled albor (grey mullet) that Javier advised us should only be ordered here, because it is good when fished from plankton- and camarones-rich brackish salt waters of Las Marismas, but is not a good fish when caught in the ocean. All of this was accompanied with La Gitana Manzanilla, which we kept cold in a table side ice bucket. 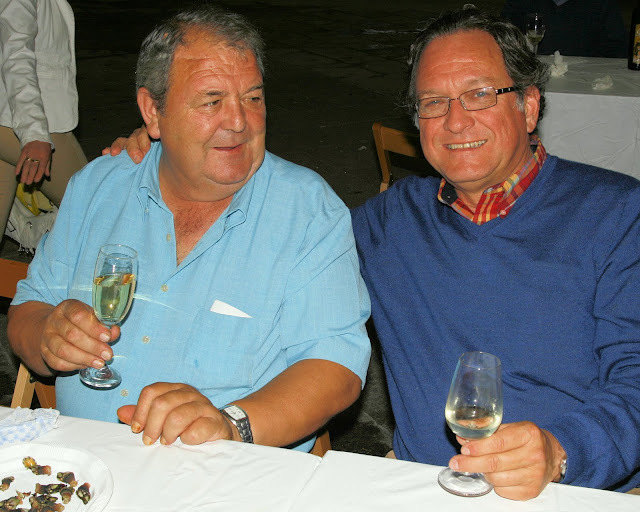 at the bar-restaurant that caters to the riacheros, the men who fish the waters of Las Marismas. Besides the rugged, bouncy trip in a four-by-four over one of the roughest roads I have been on in years in Andalucía to get to the restaurant, Javier Hidaldo, a well-known bird expert as well as a bodeguero, brought us back on a rough dirt track through marshes where we saw large flocks of flamingos, slender-billed gaviotas (sea gulls), ducks, geese and other water birds; passed through herds of grazing cattle and saw Marismas cowboys on horseback herding cattle; and saw the amazing Marisma's cattle that graze on aqua-plants up to their bellies in salt water. 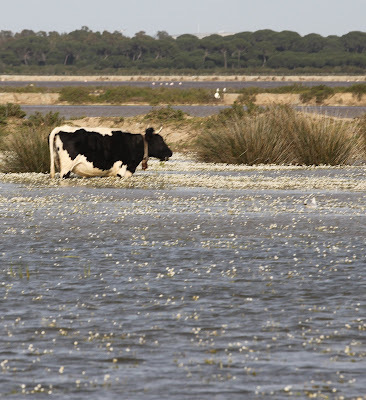 Cattle grazing on aqua-plants in the water in Las Marismas. The bird show continued back at Javier’s and Paula’s finca south of Sanlúcar, where Javier keeps ducks, geese, turkeys, Guinea hens, chickens including fiesty bantam roosters and a peacock that likes to fly up to the highest point of the homestead and shriek, often in the middle of the night, as peacocks are wont to do (see my article onValladolid with photos of the semi-wild peacocks of the Campo Grande park in the center of town). Ducks and ducklings at the Hidalgo finca outside Sanlúcar de Barrameda. Javier Hidalgo loves animals and also keep three horses, which he exercises on local beaches and, during the spectacular annual thoroughbred races on Bajo de Guía beach each August in Sanlúcar, Javier, who maintains, still in his fifties, jockey weight, races his thoroughbred against much younger competition and has won a number of races. Slide show of the horse races on the beach at Sanlúcar.